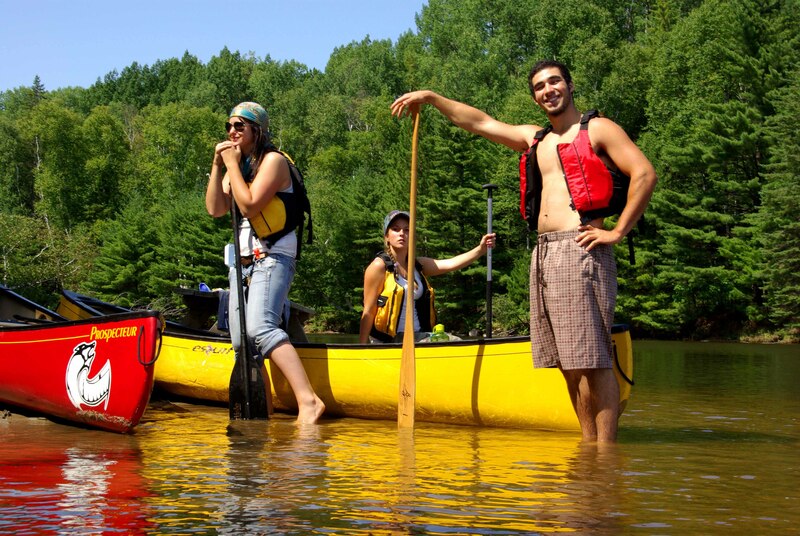 It is our pleasure to help you embark on your wilderness canoe or kayak adventure. 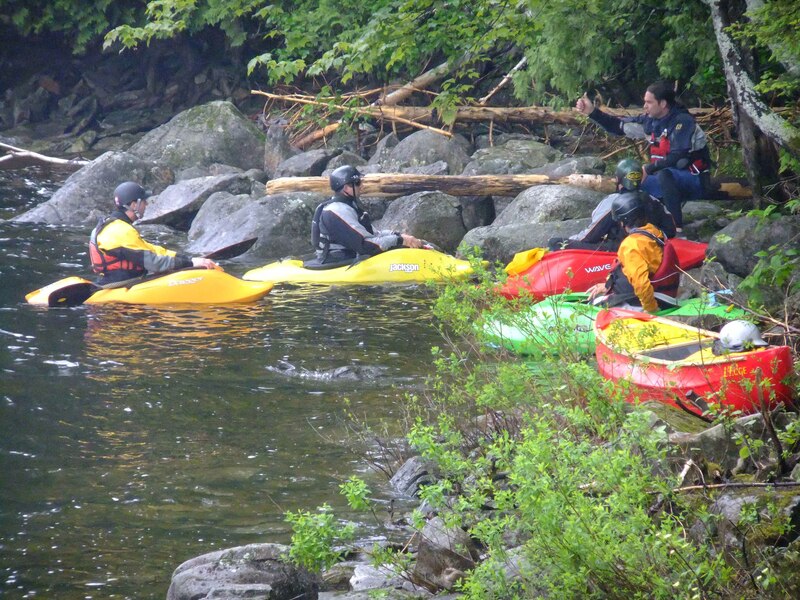 With two locations serving the best flatwater and whitewater routes of the Ottawa River Basin our friendly staff have all the equipment for you to plan a paddling trip this summer! Rent the right equipment for your adventure. 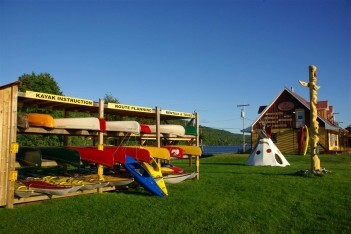 We have Canoes, Kayaks, Paddle Boards, Mountain Bikes and Camping Equipment. Since time before memory, the traditional waterways have been the heart and bloodline of the Algonquin People. 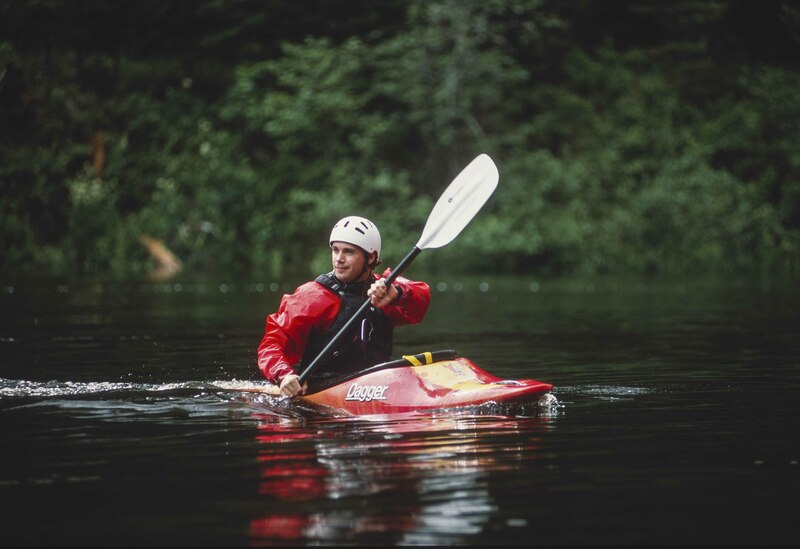 Explore our self-guided routes on the Dumoine River, Noire River, Coulonge River, Petawawa River, Algonquin Park and Ottawa River. Experience this land of lakes and rivers in comfort staying at Camp La Lucarne on Lake Kipawa, Outpost camp on Lake Ostabonigue or for the more rugged adventurer, we have mapped campsites throughout the Ottawa River basin. 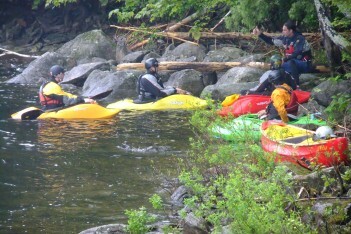 Single and multi-day paddling, learning Algonquin history, Algonquin Bush food walk, Dream Catcher building workshop, Canal Bay Tour. Our second location 228 Rue Principale, Rapides-des-Joachims, QC J0X 3M0 Open 7am – 7pm Mid June until Mid September serves delicious crepes, exceptional coffee, laundry facility, and paddling rentals. 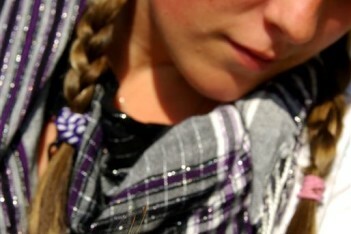 Aboriginal art and crafts, Hand sewn moccasins, technical equipment, rentals, clothing, gifts and souvenirs. Located Long Sault Island, P.O. 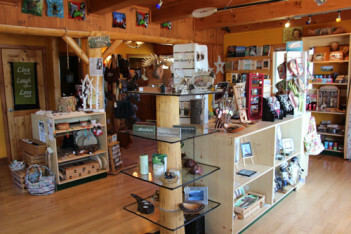 Box 27, Thorne Ontario, Canada P0H 2J0, our store offers everything from paddling and equipment rentals to unique gifts, aboriginal art and so much more. 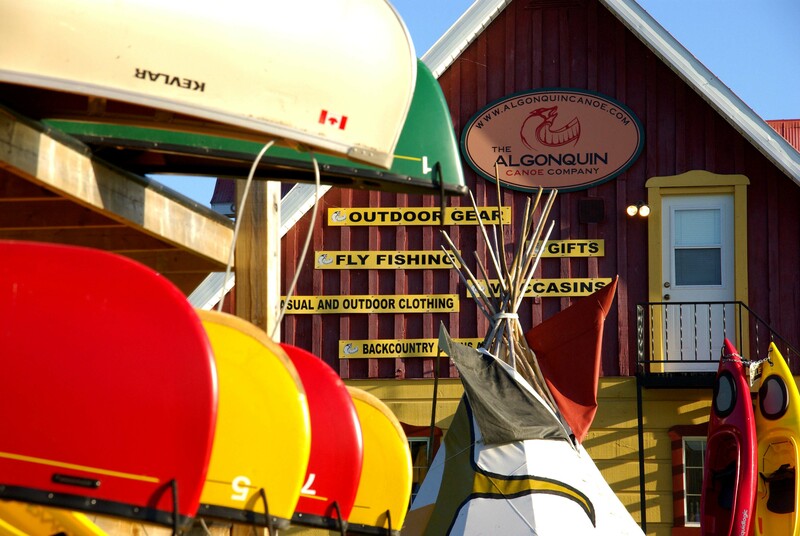 Wolf Lake First Nation opened The Algonquin Canoe Company as its first tourism business created under Anishnabek Outfitting Inc. based in Temiscaming Quebec. Since 2004 we’ve compiled GPS points throughout our traditional territory to highlight portage routes, camp sites, sight-seeing areas, historical sites and other points of interest. In addition, our year round gift shop offers quality outdoor clothing, camping gear, souvenirs, and hand-made Native art by local artisans. During this time we’ve also constructed cabins in remote parts of Lake Kipawa, particularly Hunter’s Point where the Wolf Lake First Nation settlement is and on Lake Ostabongiue. 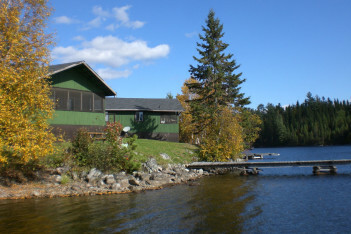 In the fall of 2011, Camp La Lucarne; a full service lodge with 5 water front cabins and 3 main lodge rooms, became the second business under Anishnabek Outfitting Inc. In 2012 Anishnabek Outfitting Inc. purchased the old Air Swisha base in Rapids des Joachims after Trailhead closed their branch. 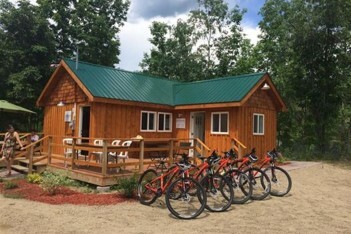 On July 4th, 2014 we held the grand opening of our second Algonquin Canoe Company location and Nanabush Café & Laundromat; developed to serve as a paddling start or stop location where paddlers can enjoy a fresh cooked meal, clean their clothes after a journey and rent canoes to explore some of the watershed areas there. Thank you Algonquin Canoe Company staff! You helped us novices feel more comfortable and safe. We appreciate all the help and great paddling advice. See you again soon! The maps and staff knowledge helped me and my wife have a great canoe trip. You made everything so easy for us. We can’t wait to explore some of the other areas you pointed out to us. I just love my moccasins! They are the warmest and most comfortable pair of footwear that I own. Thank you so much. Thank you for providing a great paddling experience. We thoroughly enjoyed ourselves and learning from you.